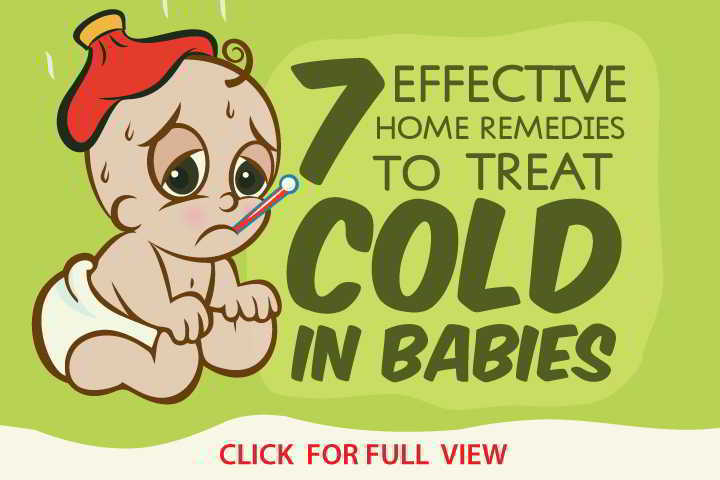 Do you know that there are effective natural home remedies for colds? Read on to learn about them. is no scientific cure for a common cold. Some experts believe that over-the-counter medications can be dangerous when given to children, especially if they are under the age of two, and some popular commercial medications like Tylenol contain acetaminophen, which can cause liver damage or failure if taken in high doses. (In fact, as of January 2008 the US Food and Drug Administration warned parents about the dangers of giving over-the-counter cold and cough medications to young children). Because there are numerous natural treatments that can be just as effective as treating the common cold, with the proper tools and remedies you could not only reduce the life span of a cold, you can also prevent your children from catching a cold in the future as well. Forcing your child to gargle with warm salt water may be a daunting task, but it can actually help remove any bacteria from your child’s mouth and throat. Mix about ¼ to ½ of a teaspoon of Real salt into an 8-ounce glass of warm water, and stir until all of the salt is dissolved before gargling. If your child has a runny or stuffed up nose, eating pepper with a meal, gargling pepper in hot water, or even simply smelling pepper can help break apart any congestion in your child’s lungs or sinuses. Pepper can help break up congestion effectively thanks to its capsaicin components which are known to thin mucus, and they are also effective in helping getting rid of the germs in the nasal passages as well. Because honey has been used as a cold fighter for years, it may not come as a surprise to some that honey can be effective in shortening the lifespan of a cold. Experts have found that buckwheat honey can help treat a cough because it coats and soothes an irritated throat, and other researchers have found that it can also help sick children sleep better at night as well. However, if you have a child who is under the age of one do not give them any honey as it could lead to botulism. Cinnamon is known to help ease the pain of a dry or sore throat, and it is praised by “naturalists” because of its effective healing properties. You can try boiling one teaspoon of powdered cinnamon in a glass of water, and then mixing it with some pepper powder and honey for extra effect. Or you can add a little extra cinnamon it to your child's food. It's no wonder that chicken soup has been one of the most cherished home remedies for colds. Chicken soup is packed full of nutrients and vitamins that are essential when treating a common cold. Scientific studies have shown that it can actually thin mucus secretions, and the carbohydrates from the broth and noodles can help maintain your child’s energy level as well. Even if you're eating and drinking all of the right things, and taking the right supplements, you're not going to feel better without enough sleep. Make sure you sleep as much as you can when you're feeling under the weather, and you'll hopefully be feeling better in no time at all!